Sewage Treatment - D&L Concrete & Fiberglass Products Ltd. 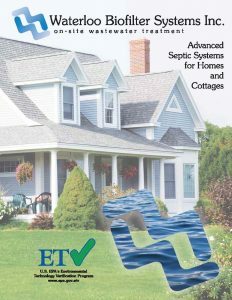 The Waterloo Biofilter® is an advanced onsite wastewater treatment system for off-sewer developments including residential single dwelling households and cottages, decentralized commercial and light industrial lands such as golf courses, resorts and restaurants, as well as large clustered or communal systems. 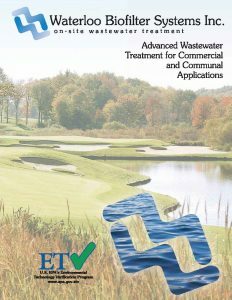 Our patented technology efficiently treats sewage and other wastewaters, protecting our environment and ecosystems from pollutants such as E. coli, BOD, TSS, nitrogen, and even viruses. Proven in thousands of installations, Waterloo Biofilters are available in a variety of modular configurations that are easily scalable. For more information on the Waterloo Biofilter system visit their website Waterloo Biofilter Systems Inc.